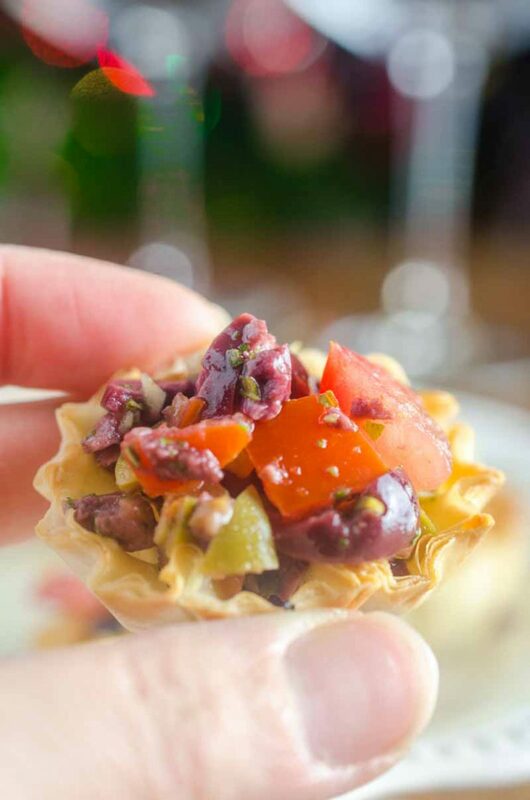 Tomato Olive Phyllo Cups are the perfect party appetizer. 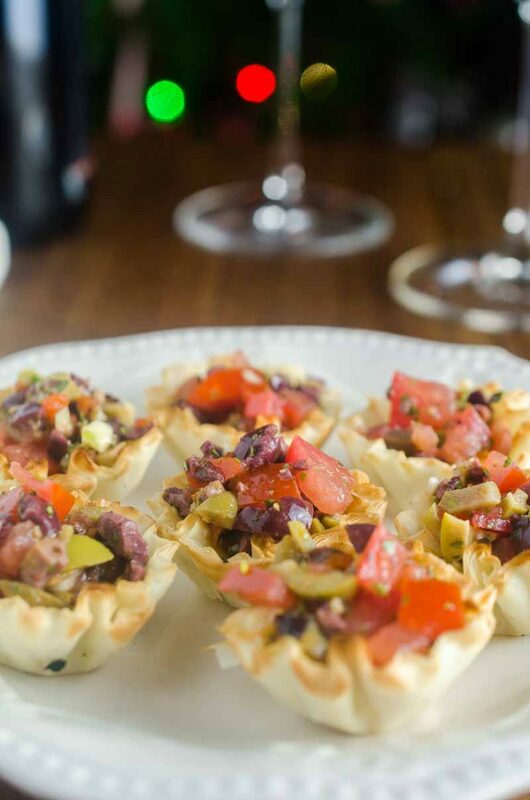 Fresh tomatoes and briny olives piled high in crispy phyllo cups. Ready in less than 10 minutes! You guys, Christmas is a week from today. ONE WEEK. Seven Days. Are you ready? Do you have all of your shopping done? Wrapping? I am actually a little bit ahead of the game this year, so obviously I am feeling like I forgot things. But I think we’re ready. Just a few more things to wrap. 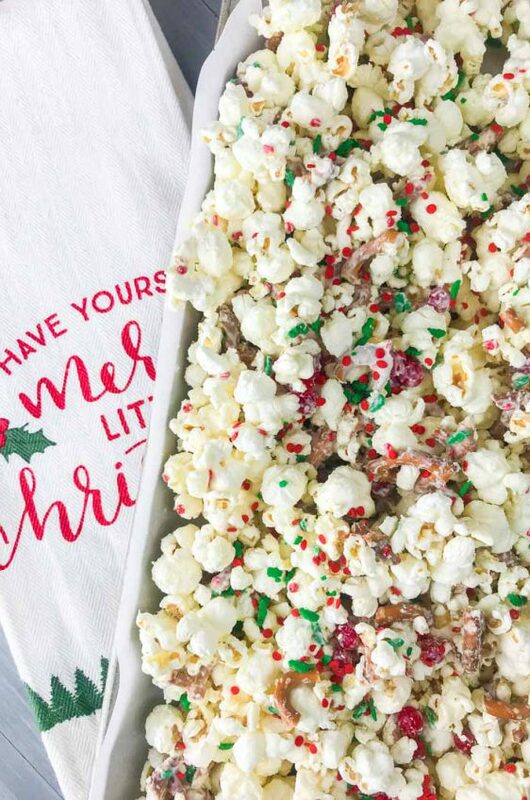 Will you be hosting a Christmas eve party? Or hosting the big meal? 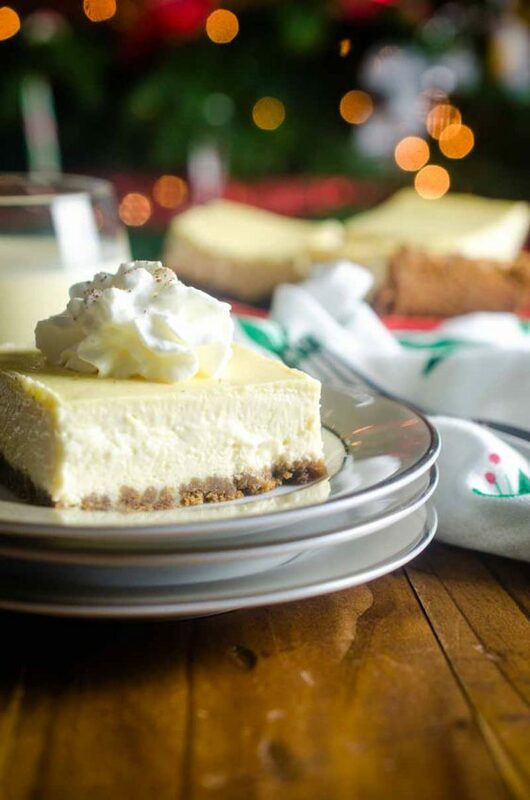 If the answer is yes to either of those, you are going to need some bite sized goodies and appetizers for your guests. 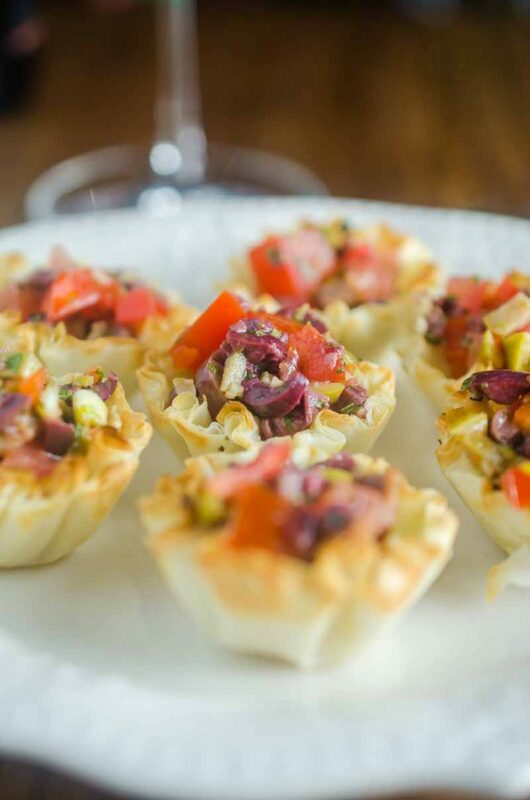 And if you are looking for something simple yet a total flavor bomb, these Tomato Olive Phyllo Cups are exactly what you need. When I am planning a party, I am always looking for easy dishes to make. Because as much as I love being in the kitchen, I also love visiting with my guests. 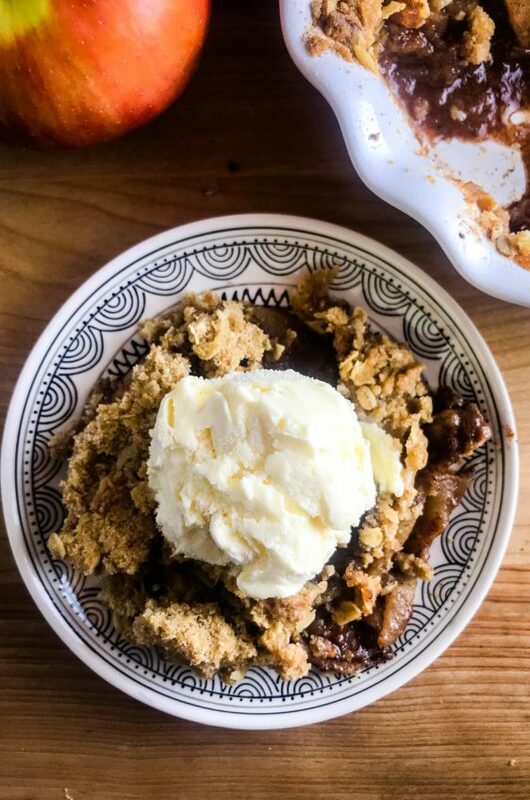 So when a dish can come together in under 10 minutes (YES, 10 MINUTES), I am all in. 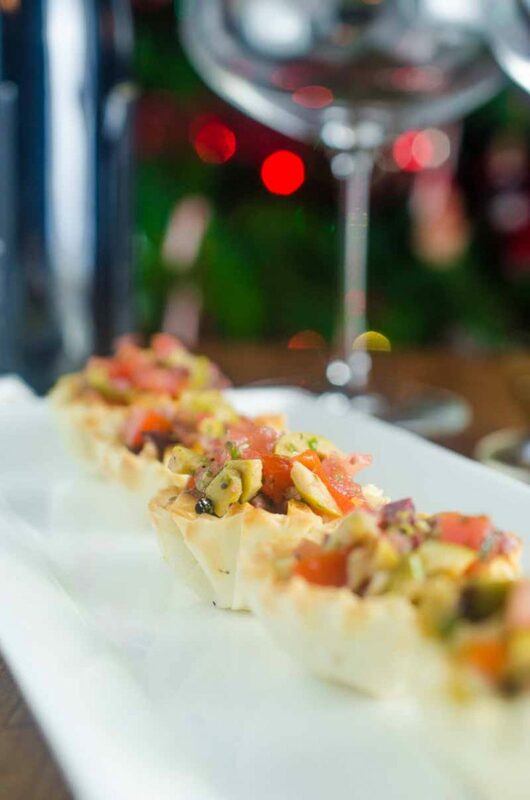 Take these Tomato Olive Phyllo Cups for instance. I use pre-made frozen phyllo cups that just need 10 minutes to thaw. While they are thawing, I mix together tomatoes, kalamata olives, green olives, garlic, olive oil and basil. Then the mixture is piled high into the ready to go phyllo cups. One last note, since it is December, fresh basil can be a little hard to come by. You either cannot find it at all or it’s expensive. During this time of year, I LOVE using fresh dried herbs. There are a couple different brands out there, I bought the Litehouse Freeze Dried Basil at Costco so I am all stocked up for the winter! If you have access to fresh basil, you could substitute a tablespoon of that instead. 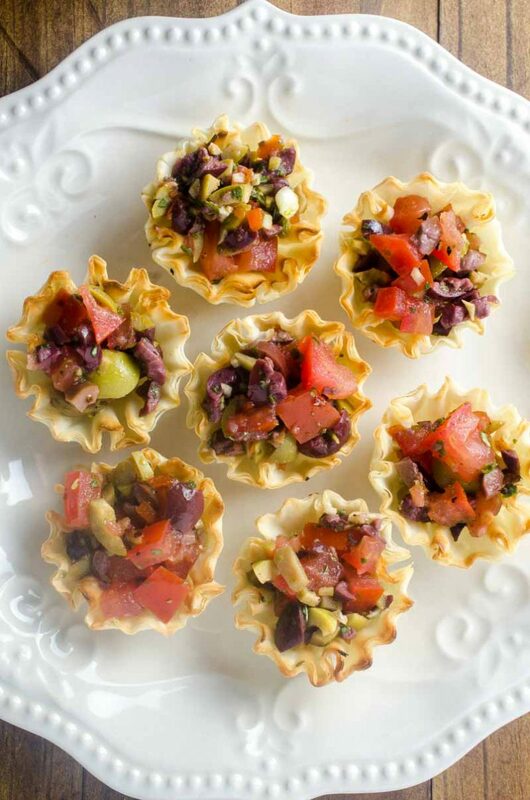 These Tomato Olive Phyllo Cups are pretty too, right?! 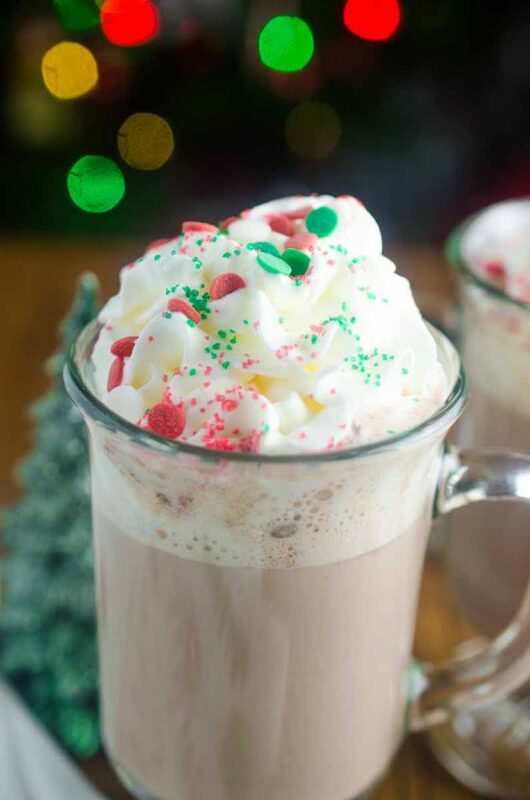 They would be perfect for any Christmas or New Year’s party for sure! Remove phyllo cups from package and set aside. Combine remaining ingredients together in a bowl. Place scoopfuls of tomato mixture into phyllo cups and serve. I love the flavor combo here, and they’re so easy to munch on, too! I’m so excited to try these! 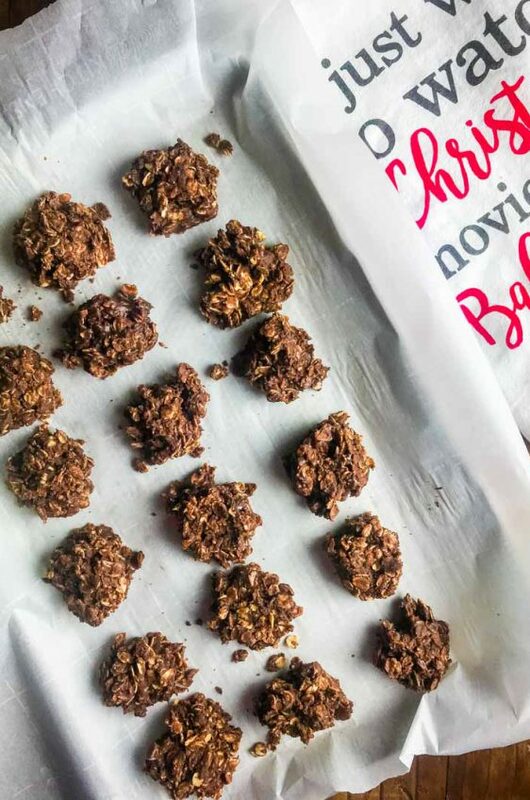 They look amazing and it’s perfect that they’re so easy to make! 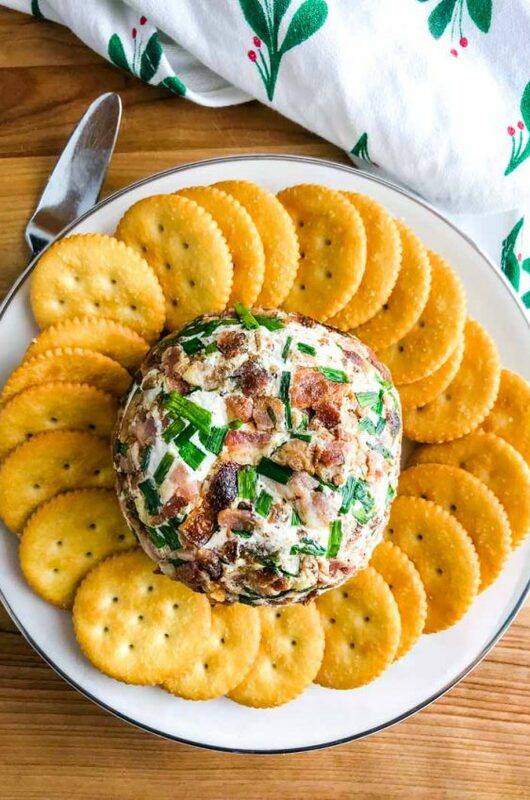 Such a great appetizer for the holidays. Loving the combo of flavors. I’m in love! I will definitely be serving these at my next party! This is such a festive appetizer!